Everything You Need To Know About Juicing & Living A Ketogenic Lifestyle! The Ketogenic diet is designed to send your body into a state of ketosis. This is done through living a low-carb, high-fat lifestyle. Once ketosis is reached, your body will begin burning off your fat stores, causing you to lose weight and improve your health. 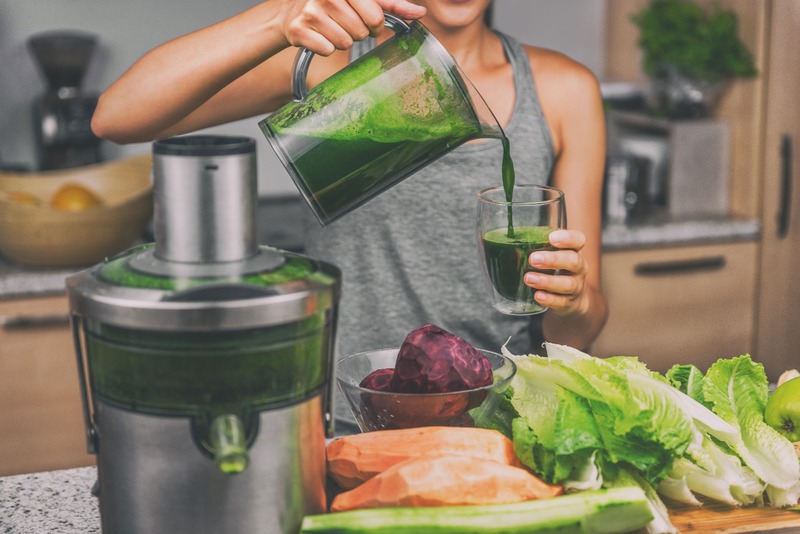 Although there are many different ways to receive the nutrients that you need while living Keto, one method is by juicing. To put it simply, juicing is the act of making homemade juices. While the average person places an emphasis on adding plenty of fruits and vegetables to their juices, those in ketosis have to be a bit more careful about what they include. With that said, juicing is a GREAT way to get the nutrients that you need while on the Keto diet. You have to maintain a careful balance of healthy fats, while still following the low carbohydrate and low sugar rules of the diet. If you ingest too many sugary or carb-laden foods, you’ll send your body out of ketosis, thus lessening the effect of the diet and ruining all of the progress that you’ve put in thus far. The trick is to make sure that your homemade juices contain the right types of food OR for the more "on-the-go" types, Add 1 scoop of Keto friendly Greens (Contains 16 different fruits & vegetables + more in each scoop) to a glass of water and get all the benefits of a homemade juice! Avoid Sugar-Filled Fruits and Vegetables! The number one thing that you don’t want to do when creating juices while on the keto diet is include what are known as “obesity traps.” These are sugar-filled fruits and vegetables that can send you out of ketosis. and so on, because they taste good. After all, people have an affinity for sweet foods. It also doesn’t help that by adding these foods to your juice, you’re removing their fiber amounts and upping the sweetness factor. Obviously, if you’re Keto, this won’t work at all. Since Keto forces you to replace some nutrients to others, you’ll need to include plenty of fiber in your meals in order to keep your bowels in good working condition. Another reason as to why these sugary juice additions are bad is because of your fructose levels. The point of the Keto diet is to get your liver to burn off the fat that it’s stored. When your fructose levels go up, your pancreas goes into overdrive, while your liver doesn’t. This fructose becomes stored fat in your body. As a result, you’ll gain weight, not lose it! When you make a proper Keto approved juice, you’ll be replacing the sugar with plenty of fiber and fats. These will be processed by your liver, which will then be motivated to burn off any other fats that have been stored there. You’ll lose weight, instead of gain it. Another thing to watch for when creating Keto diet juices is the alkalinity of the mixture. This is something that many weightlifters keep an eye on when creating their mixtures. They need to ensure that their muscles don’t become filled with lactic acid as they exercise. Too much of this acid can cause fatigue and weakness. It creates a state where they’re unable to build their muscles up, and they can’t work out for as long. The metabolism is also affected by this, which is why it’s also something that people on the Keto diet need to watch out for. The entire point of Keto is to jumpstart the metabolism and make the body burn off some of its fat stores. It won’t do that when there’s too much lactic acid in the muscles! Thankfully, you can avoid this simply by switching to a Keto friendly Greens Powder! With 16 different fruits & vegetables + more in each delicious scoop, your juices will help you stay in a state of ketosis! While the ideal Keto diet juice may consist of a pureed steak, this isn’t a palatable option. Instead, you’ll need to add protein and fats to your juices in other ways. The entire point of Keto is to ingest healthy fats and protein filled foods while lessening the number of carbohydrates and sugars. MCTs (medium-chain triglycerides) are the key fat molecules found in coconut oil. 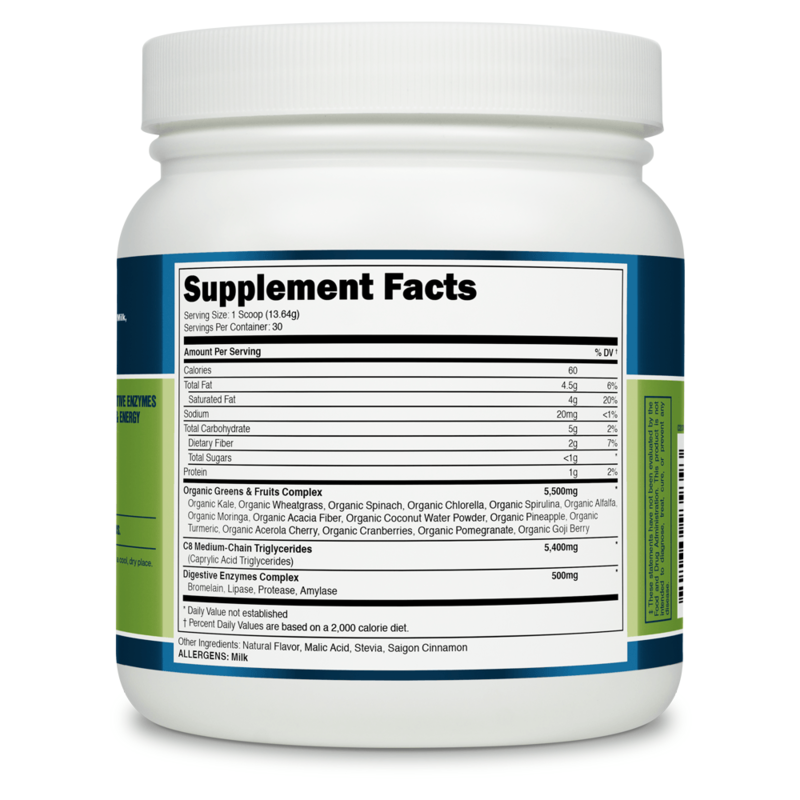 MCTs are amazing sources of fuel for the body with many clinically studied health benefits. 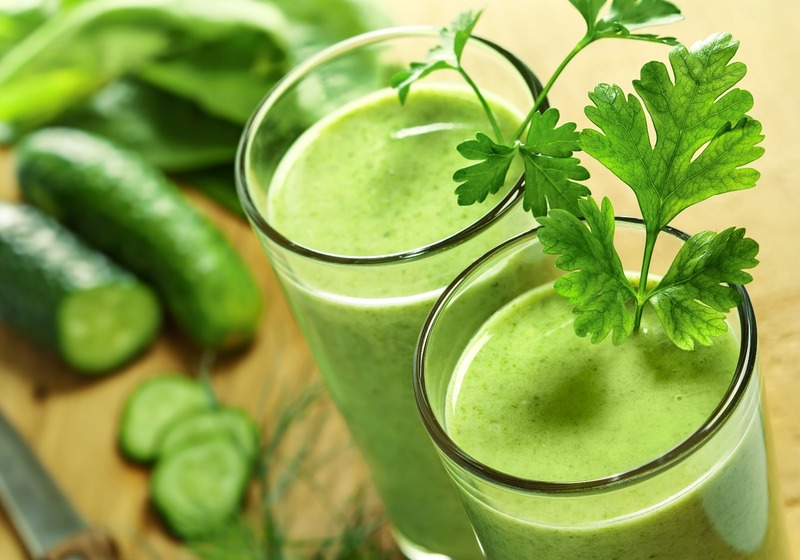 So, you need to ensure that your juices contain mostly fats and proteins. In Ketosis, Fat provides you with a steady amount of energy and mental clarity. Chia seeds are more than just those compounds that get smeared on a Chia pet and grown into unique looking houseplants. They are a very healthy addition to your juices. Chia seeds contain Omega 3 fatty acids and antioxidants. They can improve your brain health and eliminate free radicals. If you don’t want to include Chia seeds, include plenty of fats, such as coconut oil, butter, olive oil or MCT oil powder. These will help keep your diet balanced. This sounds like a weird addition to juice, but studies have shown that beet juice can help boost athletic performance. Although following the Keto diet doesn’t necessarily mean that you need to become a full-on athlete, beets to contain performance enhancing things like electrolytes. To put it simply, if beets can help athletes, they can help you stay on the Keto diet, as you’re both after the same things – burning fats and boosting your metabolism. As you can see, juicing, when done properly, is a good way of supplementing your diet. 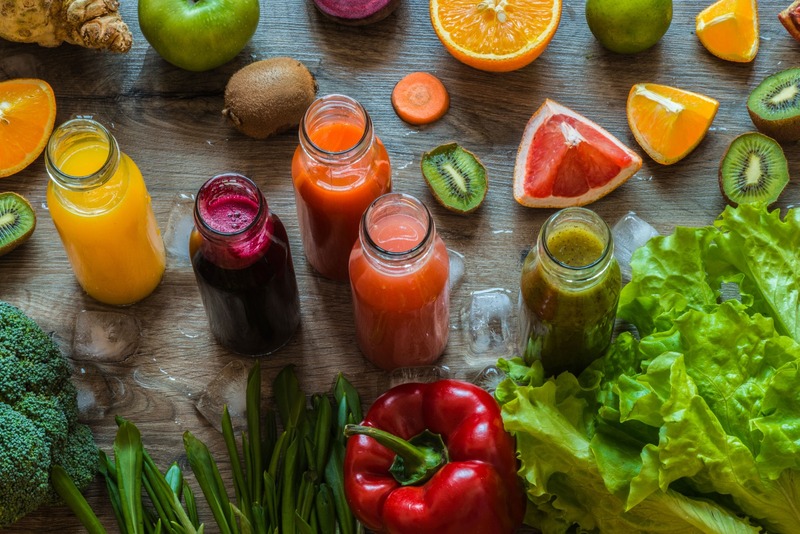 You’ll need to avoid sugary foods, pay attention to the alkalinity of your ingredients, and ensure that the majority of your juices consist of protein and fats. Consider a Keto friendly Powdered Greens product with MCT Oil in it for sustainable mental & physical energy! Enrich Your Body With The Most Powerful Combination of Carefully Selected Keto Friendly Ingredients! We like to think of Complete Greens as insurance for your body, it’s peace of mind, knowing that you are protected & fortified from the inside out. Your health is important but it's not something you should stress about every minute of your life. So, with each serving, mix, drink, and then forget about it. By combining Keto friendly Greens with proper dieting and exercising you can rest assured that your body is being well taken care of and you won't accidentally knock yourself out of Ketosis! TRY KETO FRIENDLY GREENS POWDER TODAY! What's Inside Each Scoop of Complete Greens! 16 different fruits & vegetables + more in each delicious scoop. A powerful superfood blend that will take your health to the next level. C8 MCT Oil for sustainable mental & physical energy. Digestive enzymes for better nutrient absorption and digestive health. 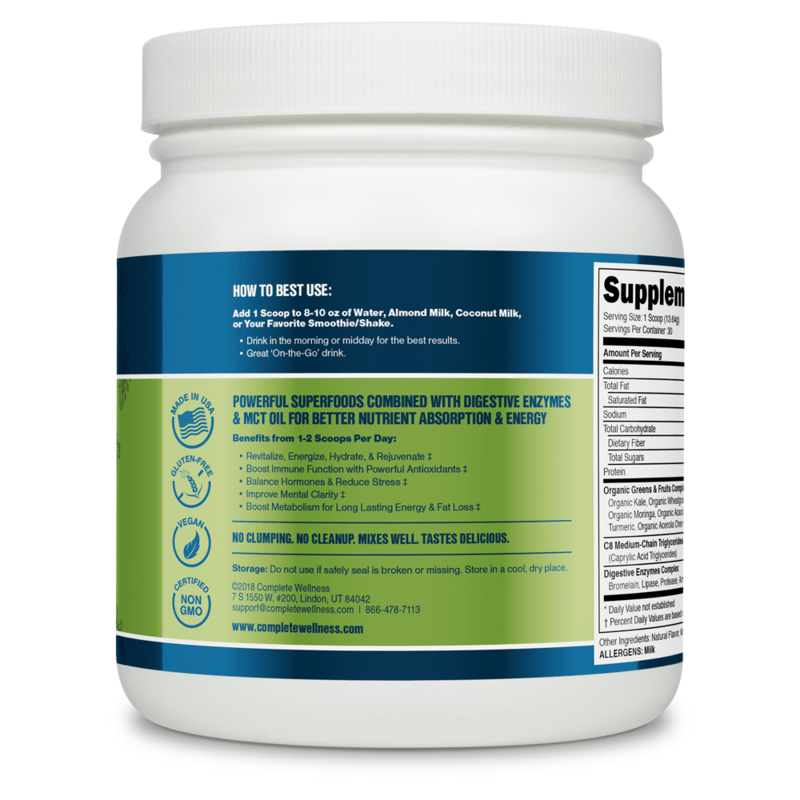 Great tasting flavor unlike any other greens supplement you've every tried!